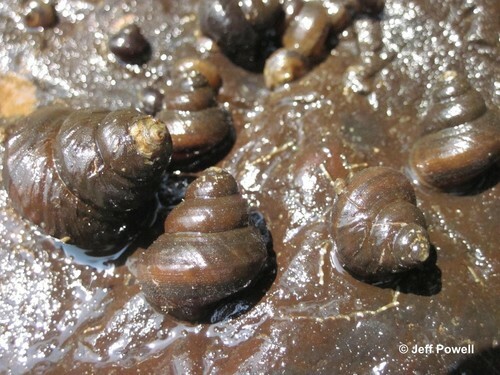 North American freshwater snails (Gastropods) are a critically imperiled faunal group with 74 percent listed as vulnerable, threatened, endangered, or extinct in the most recent American Fisheries Society assessment. Of the 703 species known from the United States and Canada, 204 are known from within the state of Alabama, and 102 have never been collected outside the boundaries of Alabama. Reasons for the decline of many snails are primarily linked to habitat degradation. Specifically dams, channelization, erosion/sedimentation, groundwater withdrawals, pollution, and invasive species have contributed to these declines. Freshwater gastropods are primarily grazers (periphytic and epiphytic algae and biofilms) in aquatic habitats, influencing algal primary productivity and driving aquatic food webs and nutrient cycling. However, some gastropods are suspension or deposit feeders. The spotted rocksnail is only found in the Alabama River and is solely restricted to flowing water. This species is listed as high conservation concern in the state of Alabama. 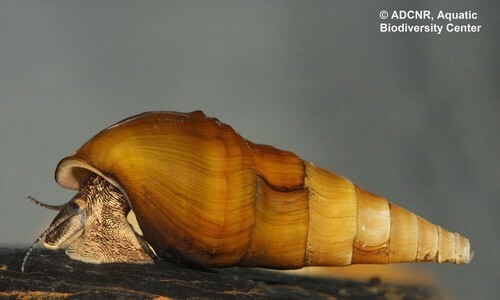 The tulotoma snail is a threatened species on the Endangered Species List and is found in the Alabama and Coosa River systems. This species was downlisted from endangered to threatened thanks to collaborative recovery efforts. This snail is only found in Alabama and lives in shoals and riffles in moderate to strong currents. 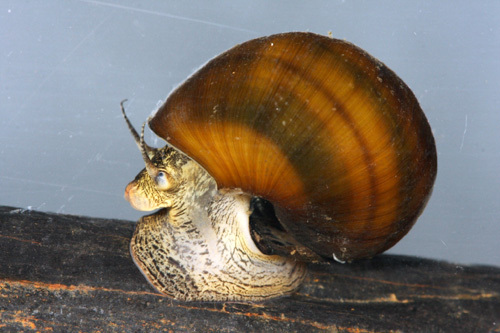 The rough hornsnail is an endangered snail which is located in the Cahaba and Coosa Rivers. The prominent nodules, or tubercles, on the lower whorls of the shell make this snail distinct for other types of hornsnails. 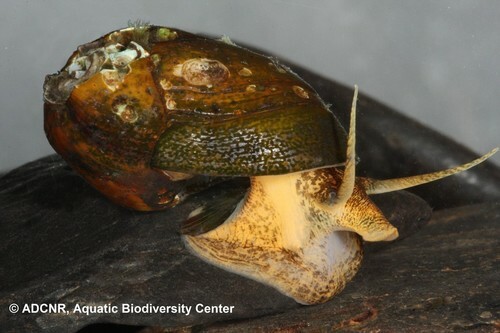 Learn more about freshwater snails in Alabama on Outdoor Alabama's aquatic snails webpage.